Over the years, our studio has become one of the top Indian wedding photographers for destination Indian weddings. We started with our first Indian Wedding in Puerto Rico several years ago and from there, the majority of our weddings are for discerning Indian couples worldwide. 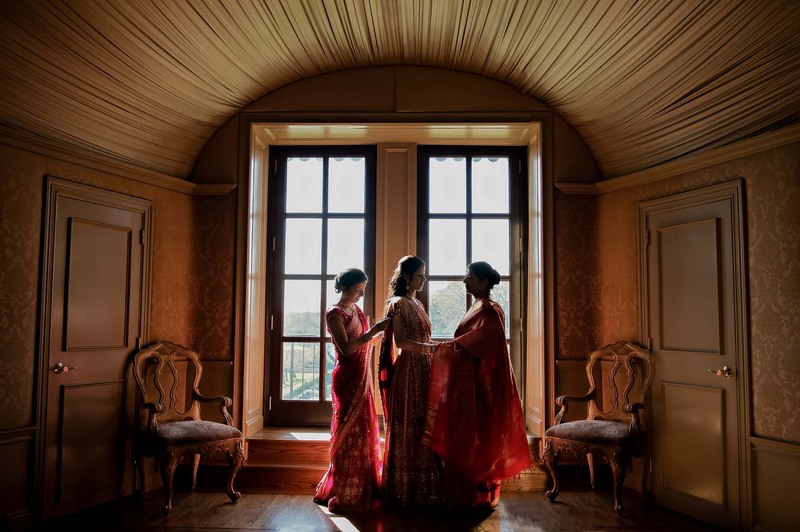 Photographing some of the most elaborate, colorful and luxurious Indian weddings around the world. As photographers, we feel honored to be a part of the Indian community and hope you can find this wedding photography guide useful. 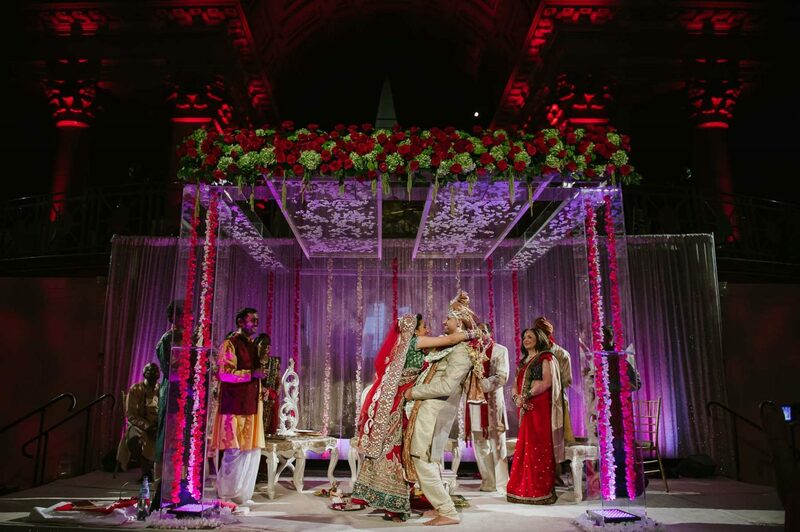 We cover all varieties of Indian weddings — from Hindu weddings, Gujarati wedding, Parsi weddings, Sikh and Punjabi weddings or multi-cultural South Asian weddings. We’re very aware of the distinctly diverse Indian wedding ceremonies and Indian wedding rituals to photograph. Being professional Indian wedding photographers, we will capture every important moment. 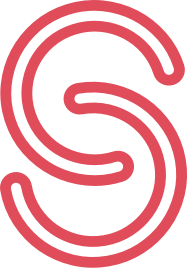 Our goal is to make both the couple and their families happy with the wedding photos, the wedding albums, and the overall experience with Shanti Weddings. Indian weddings comprise of multi-day ceremonies and events, we realize that Indian wedding photography requires special pricing. We have different packages catered to Indian weddings that include coverage for Mehendi, Sangeets and Garbas, and the Wedding Day. 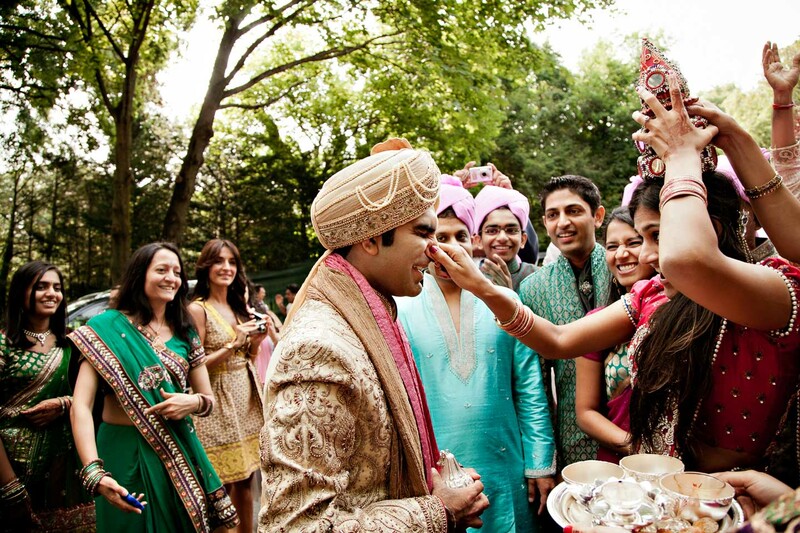 We have pricing available for other Indian wedding ceremonies, pre-wedding events, and engagement sessions. After a short conversation we will be able to provide you with an informed quote for your wedding events. Let’s start the conversation by contacting our studio. In addition to photographing the most important wedding day moments with simple elegance, we also strive to capture dramatic and creative wedding images for our couples. As professional photographers, we execute technically beautiful imagery while still providing our couples unique imagery. Our combination of lighting techniques along with our creative post production allows us to create amazing, creative photography for your Indian wedding. 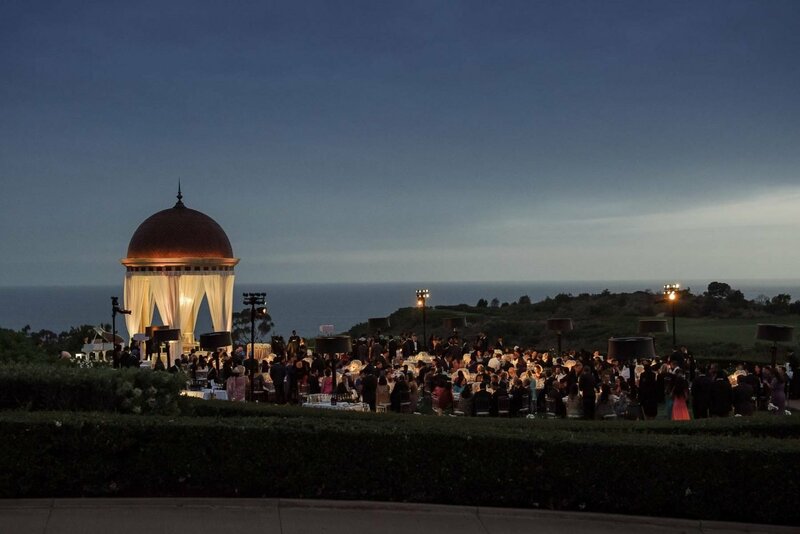 No Indian wedding is created equal. Around a month before your wedding day, we contact and work together with both the couple and wedding planner to be sure that we know when and where the events will be taking place. We are aware of the nuances of Indian ceremonies and Indian rituals. If there are important elements that we need to be aware of, feel free to mention them to us during this planning process. Our couple’s involvement during the planning process is key to a successful and stress free wedding day. This is the best time to photograph your wedding details. From shoes to jewelry, notes and personal details, we like to photograph these in natural environments with natural light. With light direction given to our couples, we achieve natural images that do not disturb a real moment. We always recommend photography for first looks when we cover Indian weddings. Once you’ve participated in your Baraat or wedding ceremony, your look isn’t as fresh and perfect as it will be in the morning before these events. 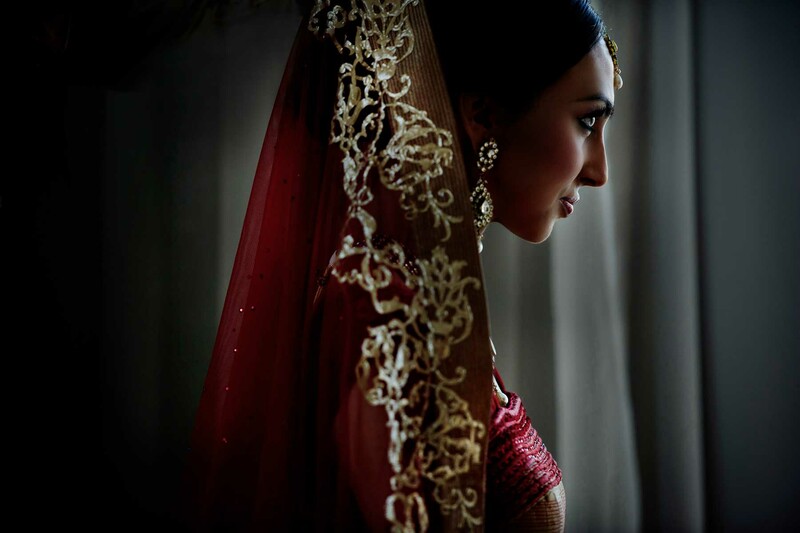 It allows us to photograph your wedding ceremony sari or lehenga when it is pristine and draped. Plus, it gives our couples a nice private moment to take in their excitement and joy. We are then able to work with our couples for at least 30-60 minutes for portraits around the property before moving on to the Baraat. 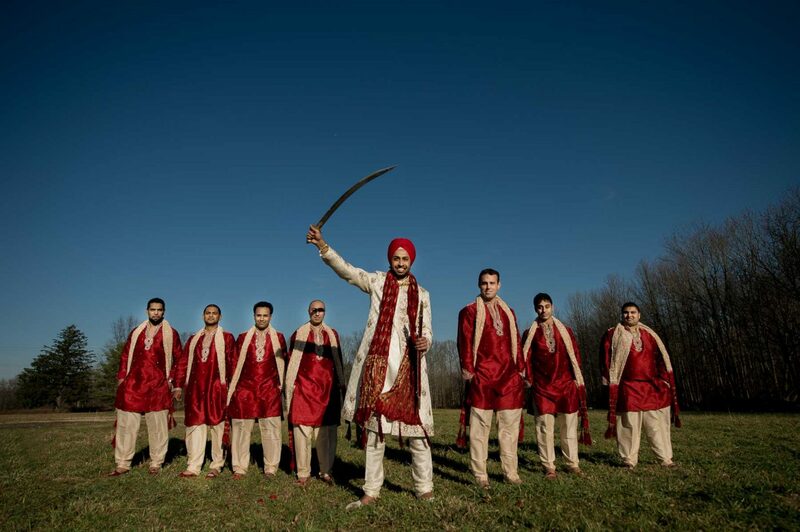 The Baraat procession is one of the most interesting and lively events of an Indian wedding and one of our favorites to photograph! The excitement of the Groom’s family and friends in anticipation for his arrival to meet the bride’s family is boisterous and memorable. 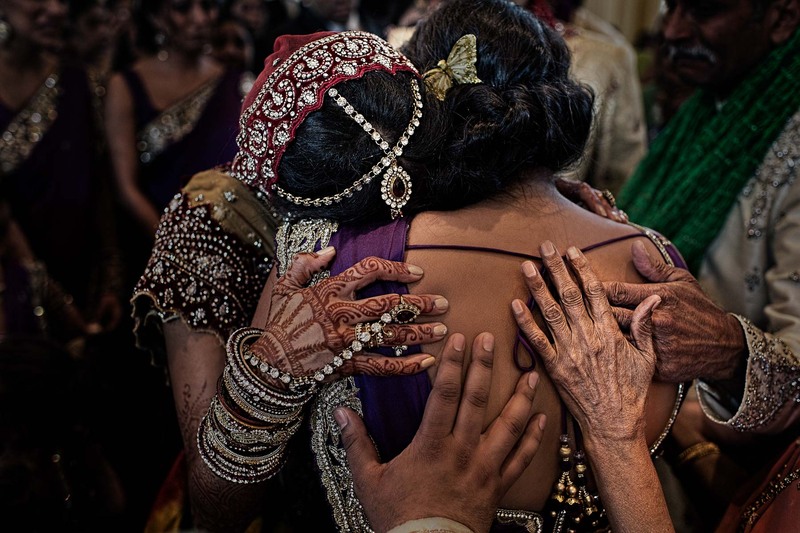 In photographing the Baraat, we aren’t on the sidelines. Photojournalists at heart, we are in the mix with your family and friends. This is how we achieve an authenticity to our photographs of the Baraat. Once under the mandap, we are attentive and respectful to the variety of all the auspicious rituals that comprise an Indian wedding ceremony. After the ceremony we photograph the family and extended family gropings by the mandap. Follow some of our pro tips for additional information regarding family groupings. The Vidai is one of the most compelling ceremony. It pulls even our heartstrings and tears as much as the family’s. Just like with the Baraat, we are close without disturbing the delicate moments between a bride and her family. Now it’s time to celebrate! Photographing your decor, entrances, toasts and formalities round out your wedding day. We capture your reactions, dances and candids of your guests in a fun and candid manner. We are also happy to receive any photo requests during the reception. We’d be honored to document your wedding events. Please contact us to discuss your day and our wedding photography guide and pricing options. We look forward to hearing from you! Read more related articles about our perspective on Indian wedding timelines & wedding planning tips.